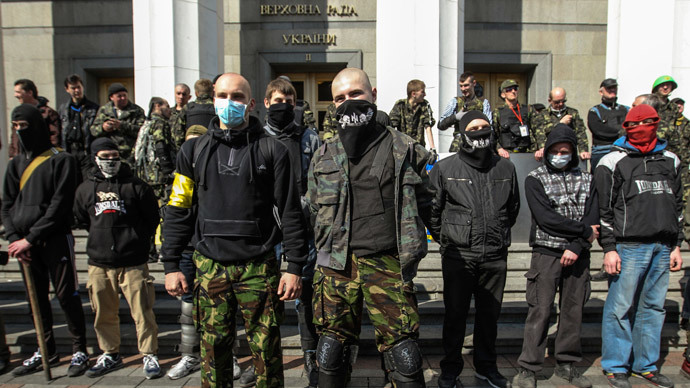 The Ukrainian Verkhovna Rada has adopted a resolution on the immediate disarmament of illegal armed groups. 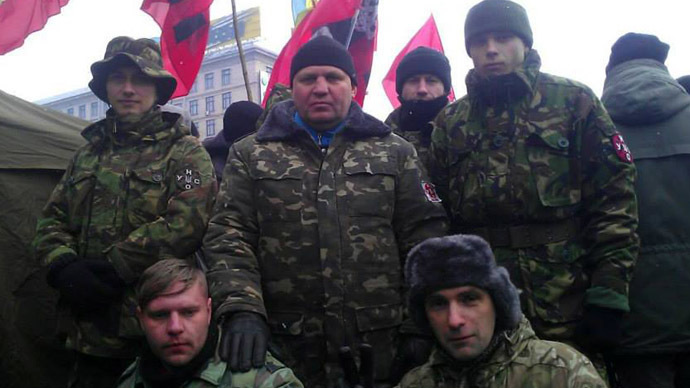 The most notorious is the nationalistic Right Sector, whose members have been involved in the bloodiest turmoil in Ukraine’s recent past. 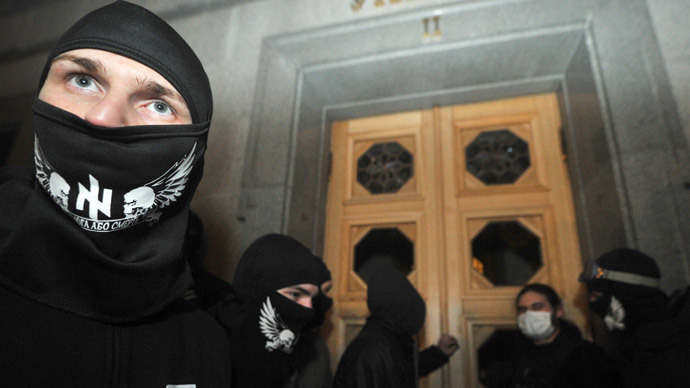 The vote passed by the parliament on Tuesday allows for the banning of Right Sector if it refuses to give up arms. The decision was supported by 256 MPs, while the minimum needed to legitimate it is 220 votes. 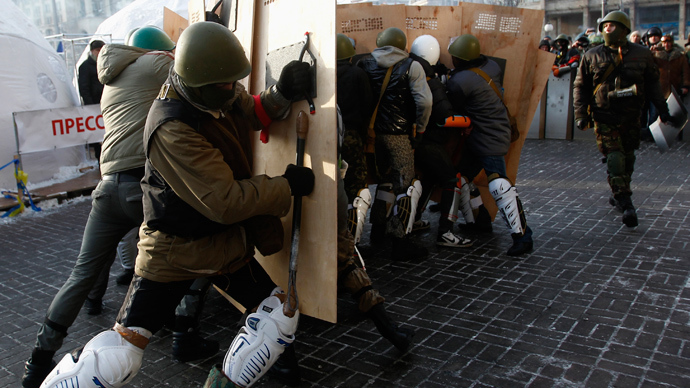 “Considering the extraordinary public and political situation in the country, aggravation of the crime rate and systematical provocations on the part of foreign citizens in the south-east of Ukraine and in Kiev, the Parliament of Ukraine decrees to oblige the Ministry of Internal Affairs of Ukraine and Security Service of Ukraine to immediately disarm illegal armed formations,” RIA Novosti quoted the Rada resolution. 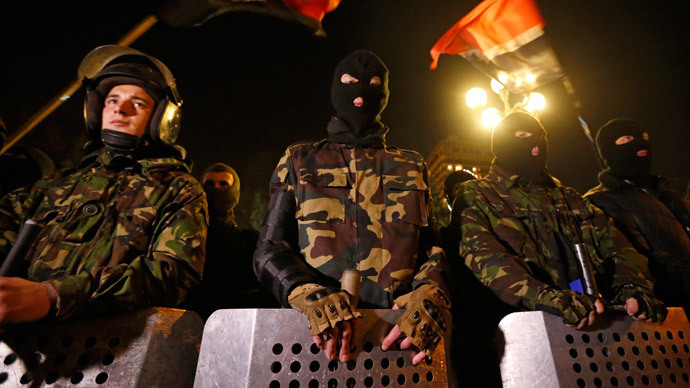 On Monday, Ukraine’s acting Interior Minister Arsen Avakov urged militants to clear out of the capital following a shootout in downtown Kiev instigated by a Right Sector member injured three people, including Deputy Mayor Bogdan Dubas. 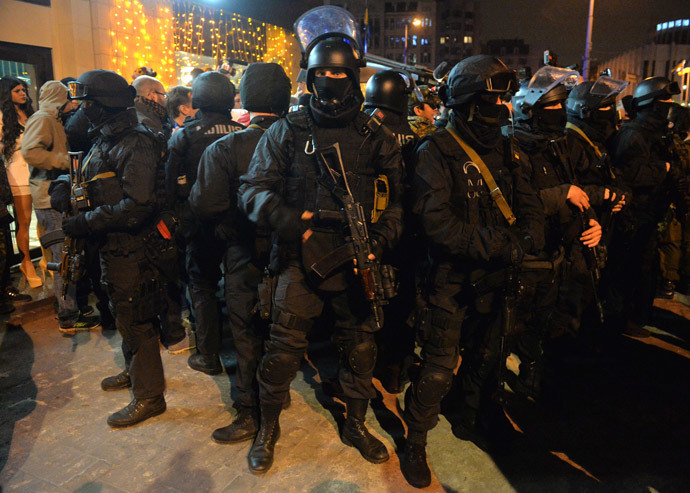 A police special operations taskforce armed with automatic weapons besieged the Dnepr Hotel, where Right Sector had been based for the last several weeks, and delivered an ultimatum to abandon the building leaving all weapons behind. In return, police promised a safe corridor out of the city for the militants, who primarily arrived to Kiev from western regions of Ukraine. 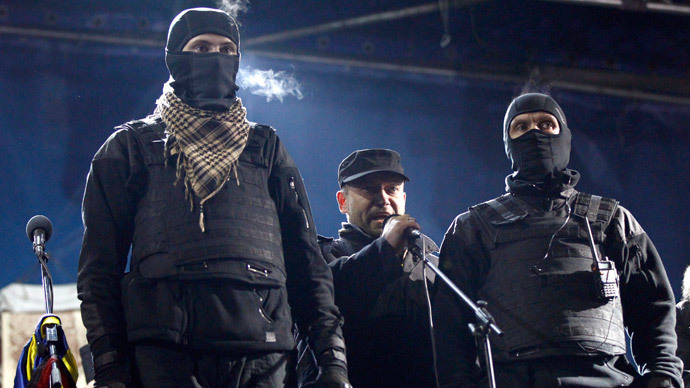 The Right Sector militants fulfilled the condition and were taken out of the city in a convoy of buses. At the same time, nobody searched for hidden weapons either on their persons or among their numerous belongings loaded on the buses. 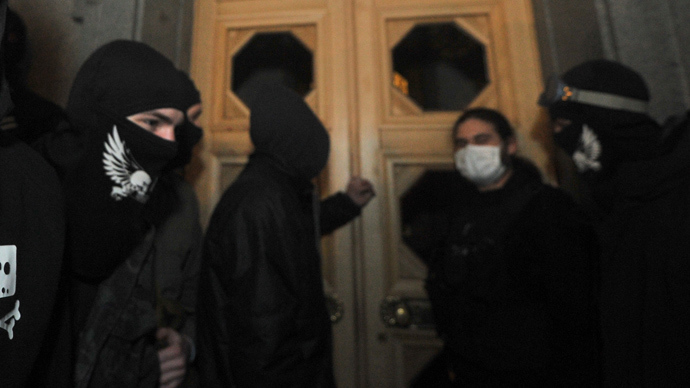 Earlier there were reports that valuable items were missing from the government buildings ‘guarded’ by Right Sector members. Police officers entered the abandoned RS headquarters and reportedly have already found some weapons and a self-made explosive device hidden inside. The discovered arms are now being inspected to establish if any of them were used in the crime-wave that swept through the Ukrainian capital lately. 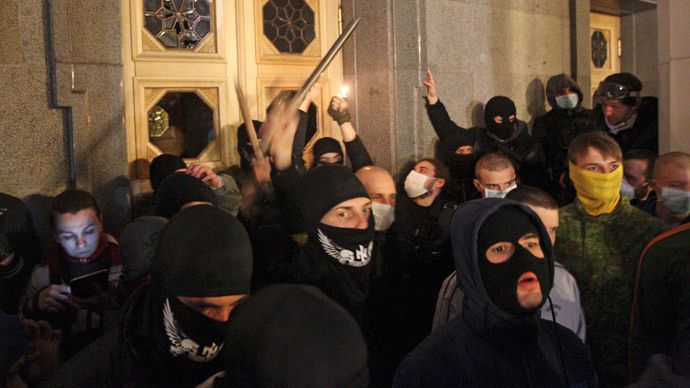 Last Thursday up to 2,000 nationalists from the Right Sector encircled the Ukrainian parliament in Kiev and tried to storm it. 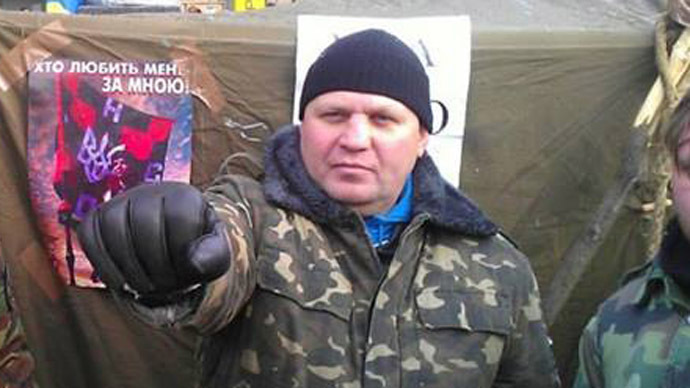 They demanded Avakov’s resignation following the death of one an RS leader, Aleksandr Muzychko, apparently in a police operation. 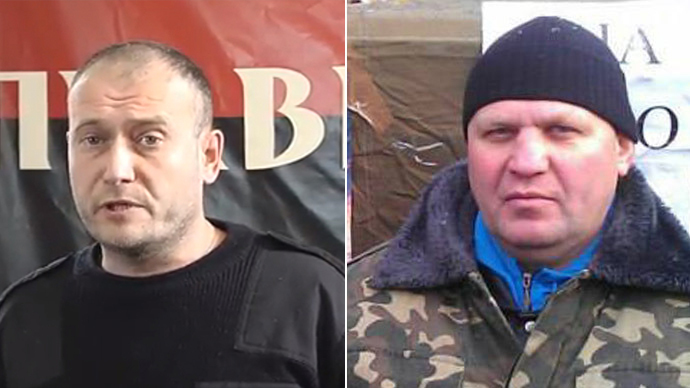 Days earlier they threatened to kill Avakov to avenge Muzychko’s death. Last week Russian Foreign Minister Sergey Lavrov said in an interview that Moscow has “factual information” about Right Sector coordinating the sniper shootings in downtown Kiev on February 20, when unidentified snipers were killing both the protesters and law enforcement officers.